What better way to enjoy the beauty of nature than to bask in its glory with a motorhome rental in New Zealand? New Zealand has become a popular destination for its untamed countryside and breathtaking and majestic landscapes. Whether you want to have a family picnic by the lakeside of one the popular lakes such as in Nelson lakes or Lake Tekapo, or get a shot of adrenaline rush and go skiing, Bungee jumping, skydiving, white water rafting and other exhilarating adventures, New Zealand is the best place to be. The spectacular geography of the region creates an enthralling atmosphere. The award-winning film Lord of the Rings owed its cinematography from the mountains, lakes, rivers and forests of this small and yet majestic Country which also paved the way to the exposure of its glory and grandeur to the rest of the world. The popularity of the place has become unstoppable and no wonder people are raging to get an RV or motorhome in New Zealand to experience firsthand the amazing beauty that they fell in love with at first sight from the big screen. A motorhome hire will definitely make them fall in love again with the mesmerising beauty of NZ up close. Planning your trip to NZ in advance may be well worth it so that you can also book the perfect RV that will be perfect for your group. You can find camper van hire in New Zealand in all shapes and sizes, including smaller models that are ideal for 2 people, or huge motorhomes that can accommodate up to 10 people. 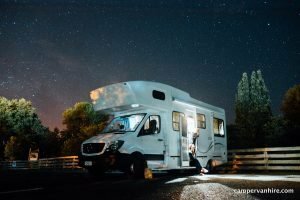 Most camper vans will provide all essential amenities such as kitchen tools for cooking convenience such as stove, fridge, microwave oven and crockery for cooking and dining. Also included will be a foldable dining set where you can just fold after a meal and transform it into sleeping beds when you retire at night. The pure genius behind the motorhome idea is quite phenomenal. With a hot and cold shower and toilet, you have all the facilities you need right in your midst. A motorhome in New Zealand is also perfect for families especially when you are travelling with kids. With the entertainment amenities such as satellite TV and DVD player, the young ones will never have a chance to get bored during the whole trip. If you want to take a break and enjoy some invigorating views, you can take out the outdoor dining set and have a coffee or tea break alongside a picturesque landscape. Or perhaps just spend some peace and quiet while enjoying the beauty of nature. A motorhome gives you the freedom on the road as you take control of your destinations. With so many hotspots to visit and a wide array of activities to try for adventure, New Zealand is your perfect vacation destination whatever time of the year. 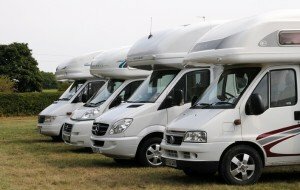 May it be with the company of friends or family, there is no better way to experience the immaculate beauty of the place than to get a motorhome rental in New Zealand.